Please help us prosecute Dan Jarvis MP, the Mayor of the Sheffield City Region for electoral fraud! On May 3rd 2018 South Yorkshire mayoral elections took place. Dan Jarvis MP for Barnsley central was elected. Unknown to the voters Mr Jarvis was being investigated by South Yorkshire police for electoral fraud. Unfortunately this information was hidden from the voters during the campaign by a conspiracy of silence within the “mainstream” media including the BBC and ITV in particular. In addition, Mr Jarvis suggested to David Allen that owing to his military background he was not bound by electoral law. David contested this and asked him to provide his exemption from the law and that if he did so the matter would be dropped, and David would apologise. Mr Jarvis has produced no such exemption! (Because of course there isn’t one!). Most shocking was the determined and successful media shutdown. Indeed, David was told before the BBC Radio Sheffield debate by the show’s producer that if David mentioned anything regarding Dan Jarvis being investigated by South Yorkshire police he would ‘cut it out’. He also insinuated that the media conspiracy of silence had a general sanction too. Also David was ‘no platformed’ from some of the Mayoral election hustings debates. David believes that the Establishment’s efforts to protect Mr Jarvis during the election campaign would have had an effect on the ability of voters to make a proper choice at the ballot box. In short, it was a deliberate attempt to interfere in the democratic process. Mr Jarvis had already challenged the rules by threatening not to stand as the mayoral candidate after the Labour NEC told him he could not be both MP and mayor of South Yorkshire. In this instance Jarvis realised the importance of his parliamentary seat and its salary. The Labour NEC relented and allowed him to stand for both. It is hard to imagine after this why Mr Jarvis would then think that with the advice of the highly professional electoral staff at Sheffield city region it was a good idea to submit nomination papers clearly in contravention of the law, or indeed that no one would notice. In cases of election fraud there is limitation of one year on the time available to prosecute. So far South Yorkshire police and the CPS have refused to confirm if any action is to be taken against Mr Jarvis and/or his agent despite several requests to do so. The combination of these actions in concert with those listed above would tend to suggest that the powers that be hold the voters of South Yorkshire in contempt and it appears that the law might apply only when it suits. It is because of this that we intend to take up a private prosecution where the state has failed, so far, to act. David says that he has personally seen nationalists guilty of electoral fraud severely punished by the courts and their liberty removed and listened to the presiding judge berate the convicted electoral fraudster that even the smallest infraction of our democratic process should and will be punished without restraint. Recent high profile cases of nationalists flouting the rule of law have seen torrents of self -righteous opprobrium poured upon them by the press. Please help us in our cause to see if the rule of law is not only applied to us but applies to them too! The law is clear that whatever punishment the court decides to impose upon either Dan Jarvis or his Electoral Agent, the automatic civil penalty is that upon conviction there is an automatic ban of 5 years to hold public office and automatically the election for the Sheffield City Region/South Yorkshire Mayoralty is void and has to be re-run. If Dan Jarvis is convicted, which seems highly, then additionally there will be a by-election for the Parliamentary seat of Barnsley Central. Please help us make sure that it is brought home to even the entitled British Political elite that they have to obey the law and help us pursue Dan Jarvis and his Agent for deliberately breaking the law by giving a false address and shaming the mainstream media that refused to report this case before it had happened and remind them that they are not just the voice pieces of the British Political Establishment but should properly and fairly report the news. Please help us raise the £10,000 needed to bring this case. The “full home” address has to be given on nomination forms 1a and 1g. On 1g Mr Jarvis would have also formally signed the form in the presence of a witness. It follows that either Dan Jarvis himself or his Agent, Paul Nicholson, or both of them are guilty of the offence of “a corrupt practice” pursuant to SECTION 65A(1)(A) OF THE REPRESENTATION OF THE PEOPLE ACT 1983. The charge sheet might look like this. On or before 6th April 2018 in the offices of Sheffield City Council in South Yorkshire Dan Jarvis (or his Election Agent) caused or permitted to be included in a document, namely a local government election nomination form relating to a candidate stated to be Dan Jarvis which was delivered or otherwise furnished to Dr Dave Smith the returning officer for use in connection with the Sheffield City Region Mayoral Election in South Yorkshire held on 3rd May 2018 a statement of the home address of the said candidate, which you knew to be false. There is also an arguable charge under SECTIONS 3 AND 6 OF THE FORGERY AND COUNTERFEITING ACT 1981. The charge sheet for this might look like this. Details of Offence on or before 6th April 2018 at the offices of Sheffield City Council in the County of South Yorkshire used an instrument, namely a local government election nomination form relating to Dan Jarvis which was and which they knew or believed to be false with the intention of inducing the Returning Officer, Dr Dave Smith, to accept it as genuine and by reason of so accepting it to do or not to do some act to his own or another person’s prejudice. Turning now to prospective pleas in mitigation after conviction. No pleas will make any difference to the voiding of the election if Mr Jarvis wins it and the disqualification from elected public office for 5 years for whoever is convicted, but subject to that proviso other prospective sentences are open to the court and pleas in mitigation will of course be taken into account. So one plea in mitigation might be that Mr Jarvis does have some connection with 76 Marsham Street (as opposed to “Road”). However 76 Marsham Street is a block of flats and there is no flat address given, nor of course the post code, so the address given will still be wholly inadequate. Furthermore we have carefully checked the Westminster City Council Electoral Roll and, so far as we can see, Mr Jarvis is not registered on the electoral roll anywhere in Westminster, let alone in 76 “Marsham Street”. We have carefully checked the Barnsley Council Electoral Roll and again cannot find Mr Jarvis’ registered on the Electoral Roll as a resident anywhere in Barnsley Council’s District. If there is a pattern of giving wrong or false addresses then that might be corroborated by the fact that the address given in the “imprint” to Mr Jarvis’ election address in the Mayoral Election Booklet. This gives his agent’s, Mr Paul Nicholson, address as being the Labour Party headquarters, but Mr Jarvis’ address is given as, in effect, the side of the same building. The effect is (no doubt deliberately) deceptive to those who look at the booklet, suggesting that Mr Jarvis has a separate address in Sheffield. We doubt whether in fact Mr Jarvis has any real connection to the Sheffield address even if it is an actual real address rather than another false address, since we would have thought he is either working up in Westminster or at his constituency office in Barnsley Central. Furthermore we understand that Mr Jarvis told fellow Mayoral Candidate, David Allen, that he had given the false address because of “security” reasons. Mr Jarvis claimed he was exempt from having to give his home address. We do not believe this to be true because any exempting must be in the Law (not overriding the Law). Also Mr Jarvis would not have to give a false address if he had a legal exemption. However that he has implicitly admitted that putting a false address was deliberate and we also believe now that he may have done so in the previous parliamentary elections too. We think that this has been done out of an all too typical politician’s sense of entitlement that legal rules don’t apply to them (just like we saw in the MP’s expenses scandal). What do you think? Please help us!! 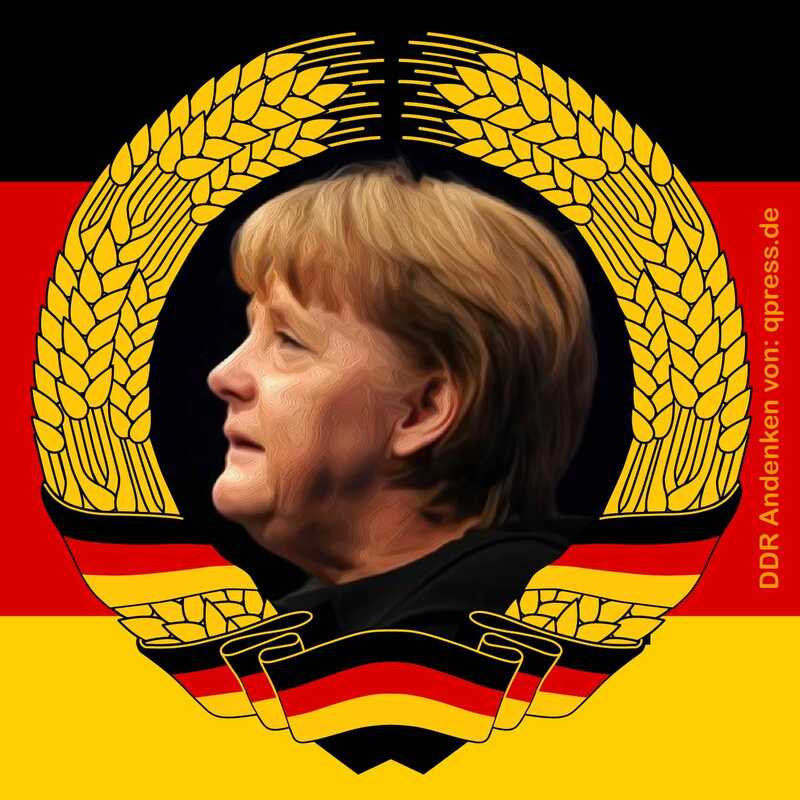 Angela Merkel: Nation States Must “Give Up Sovereignty” to New World Order! The report below about Angela Merkel’s speech in November nicely encapsulates the so-called “Liberal Democratic” view of the idea of the State and of the idea of the Nation. This is particularly where she denies the validity of the idea of “the People” and also where she seeks to undermine the sovereignty of Nation States, saying instead that “the People are (merely) individuals who are living in a Country, they are not a group who define themselves as the People”. This is very much the view of so many of the members of the British Political and Media Establishment who in their hearts have long rejected the idea of the Nation. As a result of Brexit they have been forced out into the open and their deep-seated hostility to the nation state and national popular democracy has been so pitifully exposed. These people are a threat to our Nation, which is all the more serious because of their position within the Establishment. We need to work harder to ensure that there is a genuinely patriotic party able to challenge these people as part of the system. On 29th December 18 the Daily Mail published the Home Office statistics which showed that Greater Manchester is the 2nd most dangerous place to live in England and Wales. Within hours of the publication, Greater Manchester saw another Islamic terrorist attack within yards of the Manchester Arena entrance where on 22nd May 2017 another Islamic Terrorist massacred Twenty-two people, injured over 220, and more than half of them children. Greater Manchester doesn’t need platitudes, Greater Manchester needs a Mayor who, as head of Greater Manchester Police, will be Tough on Crime, Tough on Causes of Crime, and support the Police in tackling Islamic extremism without being shackled by Labours’ political correctness. 2.4.1 We are committed to making the National Health Service an efficient organisation which provides a high quality service for all citizens. 2.4.2 The need for improvement is such that it may be necessary to adopt a simplified approach to structure and management. 2.4.3 The priority given to a patient’s treatment should be based on medical need, not artificial management targets. Bearing this in mind, we would create a N.H.S. Inspectorate on a similar basis to the very successful schools Inspectorate. Its purpose would be to raise standards of service, ensure equal quality of healthcare throughout England, and check malpractice in both the NHS and the private healthcare sector. 2.4.4 Care in the Community as a policy has manifestly failed, not only to protect the public, but also to protect the mentally ill, partly through inadequate funding. English Democrats policy is that as long as it is considered that an individual poses a significant risk either to themselves or to the public, they should remain in secure care. 2.4.5 NHS services must not be made freely available to non-nationals. 2.4.6 All those entering the UK must have valid health insurance covering their stay. Those seeking residency must provide proof of passing full health checks by an accredited clinic or doctor for HIV, Tuberculosis, Leprosy, Hepatitis and other diseases if such are prevalent in their home country. 2.4.7 Entrance into the UK will not be permitted for those who have contagious or debilitating illnesses which could threaten public health, compromise their private health insurance, or are likely to place an unacceptable burden on the NHS. Why you should join the English Democrats Party. The English Democrats are the only political party that is putting the people of England, and the English Nation's interests first!. We hear many comments in the media from the Scottish First Minister and the Scottish Parliament, the Welsh First Minister and the Welsh Parliament, the N. Ireland First Minister and Northern Ireland Parliament, however how many times have you heard from the English First Minister and the English Parliament? The simple answer is never, the people of England are denied the same democratic rights that the people of Scotland, Wales, and N. Ireland enjoy. Whilst the people of Scotland, Wales, and N. I. get to have a direct say in how their nations public services are run via their own parliamentary elections, the people of England have no direct say on how England's public services are run, as they are controlled by the British Government. This attempt to deny England a voice is clearly evident during the Brexit process, whether you are for 'Remain' or 'Leave' the clear fact is there is no English First Minister, and No English Parliament sticking up for the people of England, our public services, or our businesses. The Conservatives, Labour, Liberal Democrats, Green, and UKIP are “Unionist” in outlook. This means that they see themselves representing the interests of all the three Celtic nations in the UK, even where policies that support Wales, Northern Ireland and Scotland disadvantage England. They are also trying to break England up into bogus “Regions”. England has over 55 million people, we need our own distinct voice, no Unionist party will put England first – we will and we do! The English Democrats Party was launched in 2002 and are the only campaigning English nationalist Party. We campaign for a referendum for Independence for England; for St George’s Day to be England’s National holiday; for Jerusalem to be England’s National Anthem; to leave properly and fully the EU; for an end to uncontrolled mass immigration; for the Cross of St George to be flown on all public buildings in England; and we supported a YES vote for Scottish Independence. The English Democrats are England’s answer to the Scottish National Party and to Plaid Cymru. The English Democrats’ greatest electoral successes to date include:- in the 2004 EU election we had 130,056 votes; winning the Directly Elected Executive Mayoralty of Doncaster Metropolitan Borough Council in 2009 and also the 2012 mayoralty referendum; in the 2009 EU election we gained 279,801 votes after a total EU campaign spend of less than £25,000; we won the 2012 referendum which gave Salford City an Elected Mayor; in 2012 we also saved all our deposits in the Police Commissioner elections and came second in South Yorkshire; and in the 2014 EU election we had 126,024 votes for a total campaign spend of about £40,000 (giving the English Democrats by far the most cost efficient electoral result of any serious Party in the UK!). In the 2015 General Election we had the 8th largest contingent of candidates in England. In the October 2016 Batley & Spen, Westminster parliamentary, By-election we came second and easily beat all three British national parties. In the 2017 Greater Manchester Mayoral election we came 5th beating UKIP and beat the Greens in all but 2 boroughs. In the 2018 South Yorkshire Mayoral election we had 14,547 votes and saved our deposit and with a minimal campaign budget achieving 12.8% of the First Preference votes in Doncaster. N.B. Our manifesto can only be changed by the membership of our party at our annual conference, as such sections relating to the European Union and any referendum will be updated shortly. 3.9.1 The English Democrats favour European co-operation and trade but not a European political entity which undermines the independence, sovereignty, and democratic institutions of European states. 3.9.2 European integration, as conceived by the Frenchman Jean Monnet, had the aim of tying Germany into a network of political and economic links with France and other European states so that it would be impossible for Germany to go to war with them. That was by no means the only motivation for seeking ever-closer political and economic union. The interests of Germany and France came together in the peculiar circumstances following World War II. Advantage could be gained for both by combining a post-war German economic revival with French political and agricultural dominance. Germany gained a secure market for its manufacturing industry and France gained a protected market and financial support for its agriculture. In addition, France obtained privileged access to the European market for its colonial produce, and took the lead in building European institutions on the French model – centralised and bureaucratic. The aim from the beginning was to enmesh the states of Europe in an economic, political and military union from which they could not break free. That goal was, and still is, considered more important than the democratic nicety of explaining the goal to the electorate and seeking its approval. 3.9.3 The states of the EU cannot be successfully run as either an economic or social whole. Their economic and cultural circumstances are very different. Each needs to be governed in a way which accords not only with material needs but also with the democratic, cultural and other traditions of the indigenous nations. The one-size-fits-all approach of EU institutions is a recipe for disaster. 3.9.5 The EU has become a top heavy and outdated bureaucratic hulk which is unsuited to an age when the people of Europe need democratic nation-states to protect them and their unique cultures from the excesses of global corporations, global institutions and the global economy. The EU is a part of the problem, not the solution. 3.9.6 (To be amended) The English Democrats will seek referendum authorisation to decide this country’s future relationship with the E.U. That referendum should include the option of leaving the EU and joining the European Free Trade Association, EFTA, whose countries have a free trade agreement with the EU. 3.9.7 (To be Amended) The English Democrats believe that this country should leave the EU and will campaign forcefully to that end. 3.9.8 (To be amended) If, in a referendum, England votes to leave the EU, then the English Democrats believe that we should so leave. It is the English who make the payments to the EU and the other UK nations rely upon the English to continue to do so. In a referendum, the English Democrats would set out the costs that would need to be paid in order to keep the UK as a whole in the EU. The electorate has a right to know the amount of tax which they might be expected to pay. 3.9.9 If England votes to leave then all payments to the EU should cease forthwith and England should re-assert its own sovereignty vis-à-vis the EU. This would involve taking back powers that have been ceded and our own territorial waters. 3.9.10 (To be amended) On leaving the EU, we would hope and expect that the other UK nations would likewise leave in order to preserve a cohesive British state and avoid unnecessary division. In the event of one or more of the other UK nations preferring to remain in the EU – then England should leave the EU nonetheless, unilaterally if necessary. 2.11.1 Policing is an increasingly difficult job due to changes in our society, which now lacks the social cohesion and shared values that once gave us a mostly peaceful and well-ordered way of life. Our cities have become places where it is impossible to perform traditional communal policing. 2.11.2 English Democrats seek a return to a system of policing which recognises the principle that all citizens are treated equally. In their efforts to prevent crime and catch criminals the police should not be hindered and demoralised by unreasonable ideological constraints. 2.11.3 We should not lose sight of the fact that the basis for the maintenance of law and order in England rests on a firm foundation of active participation by law-abiding citizens. A relationship of trust and co-operation between citizens and police is essential to effective policing and the prevention of crime. With that in mind, it is reasonable to expect that policing should not be oppressive. The aim is a peaceable society in which liberty and justice can flourish. 2.11.4 It is essential that the police force be adequately trained and resourced. 2.11.5 Police forces should be more democratically accountable than at present. This would require the election of Chief Constables or the Police Authorities which appoint them. 2.11.6 English Democrats call for the creation of a scheme enabling businesses to pay for their security staff to train and register as Special Constables, their powers of arrest applying to their place of work and its neighbouring streets. Such registered security staff would be subject to Police staff performance monitoring and discipline. 3.3.1 A Mixed Market Economy-The English Democrat favour a market economy but not an unrestrained market economy. Trade and industry should, within reason, meet the needs of the society within which it operates. Societies should not be expected to subvert their democratic and cultural institutions in order to meet the needs of trade and industry. More consumption does not necessarily produce more happiness. A healthy economy is a mixed economy. 3.3.2 The English Democrats promote expansion of our manufacturing sector and halt the trend towards an over-reliance on service industries. It is a fallacy that manufacturing industry is low-tech metal-bashing which can be replaced with service industries. Most of the service sector does not provide high-tech jobs. Catering, retailing, warehousing, and call-centre work is mostly low-tech, low paid work. The aerospace, electronics, pharmaceutical, and engineering industries should be the bedrock of our economy and the core around which a high-skill, high-pay service sector is built. In furtherance of this policy, and in the interests of a healthy economy, there should be an industrial policy which promotes and expands manufacturing industry. Manufacturing is an essential part of a modern and prosperous economy. 2.9.1 English agriculture should be organised and, where necessary, financed in a way that suits English interests. Likewise, English fishing grounds should be treated as a national resource and be managed by a body which includes representatives of the English fishing industry. 2.9.2 The aim of English agriculture should be to provide good quality food at a reasonable price. This should be done in a way that is environmentally friendly. Concern for the environment should not cause us to lose sight of the fact that the primary role of farmers is to produce food. 2.9.3 The whole array of agricultural subsidies and marketing schemes needs overhauling. The strategic aim should be to help those in temporary need, and secure reliable supplies. To this end we favour greater use of targeted support, and fewer general subsidies. 2.9.4 Support, where appropriate, would be provided for farmers who wish to switch away from factory farming to mixed farming and organic production. 2.9.5 Schemes to encourage the local production and distribution of food will be developed. In all areas of agriculture we should seek more environmentally friendly and healthy production. 2.9.6 We should strive to ensure that all rules and regulations which are applied to domestic production are also applied to imports.